Its monsoon time, folks! Monsoon is best experienced by having a hearty meal sitting besides the window enjoying the pitter-patter of the rains. 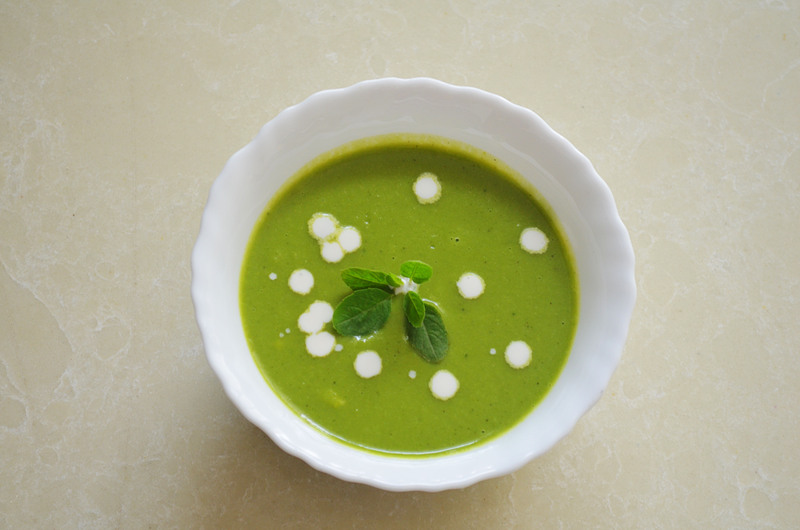 My green pea and basil soup is my rainy companion… very warm, healthy and super-easy to make. A blitz is all it takes and the soup is ready.